If you're a Golf World subscriber, check out the most recent version of Golf World Monday, the publication's weekly digital version. #10 features a familiar face. If I had known my composite scorecard was going to be shared with the world, I might have tried a little harder on those four-footers. I also hit this drive on #12 way right into the native. Special thanks to Brian Carruthers at Ballyneal for telling them that I'm a 7-handicapper. Cmon man! "10. I wish every golf fan would get behind this great cause. It began innocently enough, the entire goal being one guy wanting to play as much golf as possible. Jim Colton is a member at Ballyneal Golf & Hunt Club in Holyoke, Colo. – and one who thinks nothing of playing 54 holes in a single day. Last year, a few caddies from the private club decided to play 100 “just to get under my skin,” he recalls with a laugh. Not wanting to be outdone, Colton set out to break the course record once again, aiming to play 108 holes – six full rounds – in one day. There was no other cause nor motive behind the round other than personal enjoyment – until Colton heard about Ben Cox’s story. A former five-star caddie at Ballyneal who started working there when the club opened in 2006, the 22-year-old Texas Tech student was skiing with his father earlier this year when he attempted a steep jump and fell, leaving him paralyzed from the chest down. The story hit the tightly knit Ballyneal community hard – and all of a sudden, Colton’s marathon day of golf had a charitable cause behind it. 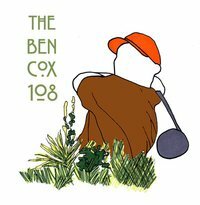 And so one man’s desire to play a lot of golf turned into “The Ben Cox 108,” used to raise money for Fox and his family. He surpassed that goal by just a little bit. After the original Monday date was postponed due to a hailstorm, Colton teed it up this past Wednesday, raising more than $75,000 to date for his new friend mostly through word of mouth within golf circles. 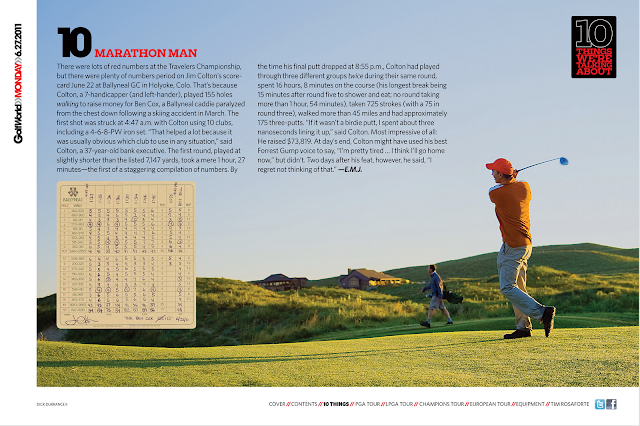 That includes a touching moment on Father’s Day, when – with the help of a specialized cart – Cox was able to play two holes at Ballyneal in front of friends both old and new. When he teed it up for “The 108,” Colton not only surpassed his monetary goals, but his golf goals, as well. Starting at 4:47 a.m. and using both a caddie and forecaddie, he completed his first 18 holes in one hour, 27 minutes and had played 108 by 3:30 p.m. Rather than stopping, he just kept going, playing a total of 155 holes that included a 75 and “a bunch of scores in the low-to-mid-80s,” he says. Colton hopes the money raised will someday help Fox walk again. And he remains humbled by how one man playing a lot of golf can potentially better another man’s life. The money is still pouring in, too. 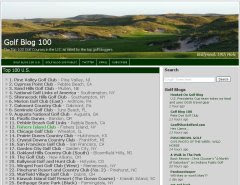 Through his connections in the golf world, Colton has arranged for rounds at such places as Pebble Beach, Merion, Olympic Club, Harbour Town, Whistling Straits, Riviera and nearly five dozen other top courses to be raffled off at Ballyneal on July 9. Those interested in purchasing tickets for the raffle or pledging donations can do so at Colton’s personal website: www.wegoblogger31.com"